Shane Morand, the Author of Victory Book, is an expert within the area of mentoring, goal setting, goal realizatdion and positive motivation for success. Starting at age 19, he became an enthusiastic student of Napoleon Hill’s classic Think and Grow Rich principles …. Every New Adventure Needs A Trustworthy Guide. A Mentor To Show The Way. HOW TO GENERATE ONGOING RESIDUAL INCOME? HOW TO FIGURE OUT WHAT YOU REALLY WANT? HOW TO BE COMPLETELY FINANCIALLY INDEPENDENT? WHY Are You Not Financially Independent? 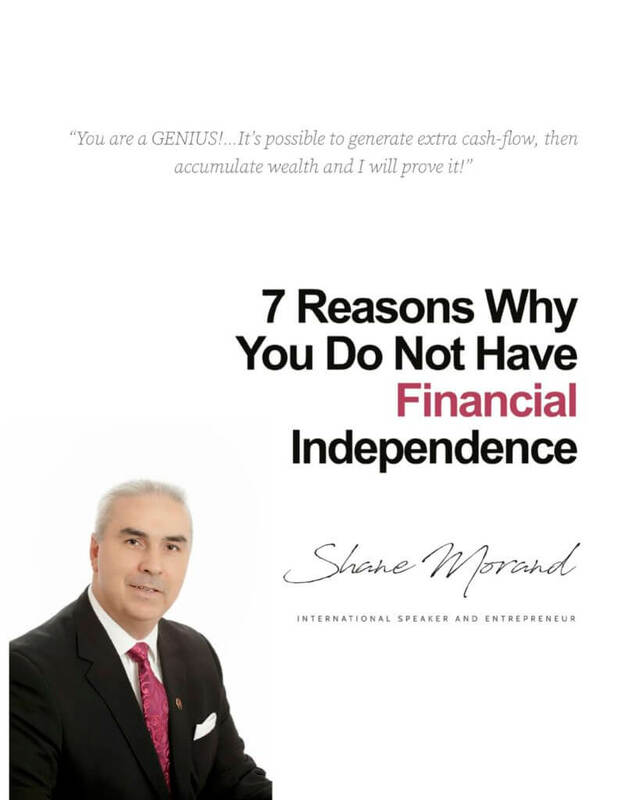 With the free 7REASONS E-Book you will also receive 7 videos that will help you understand the reasons. Also, at the end of the series you will receive a video gift. It’s a Bonus video!